1 Blemished Available: $51.00 This item is available as a Blem/Refurb. These are items that cannot be sold as "New" merchandise and are limited to stock on hand. See the product details for a description of the product's condition. 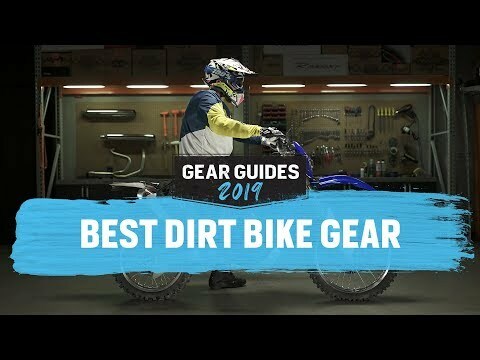 We got these for my grandson for Christmas, he is an avid dirt bike rider, he thought they were the best and he loved the way they fit. Great googles. You get a 10 pack of tear offs, a set of clear lenses and a nice storage bag with it. That's it. Just like the description says. 75 bucks for goggles are expensive but worth it since everyone and their mother wears 100% so they must be doing something right. 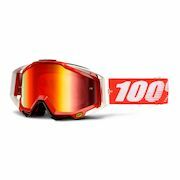 These goggles are awesome fit in my leatt helmet at like a glove just make sure you keep the tear off's at least a couple of tear offs on when you're riding even through the woods to keep your lenses from getting scratched up. It would appear the film for the tent is on the outside of the lenses I did not realize this so now I will have to buy a new lens but the tear offs will protect the lenses from getting scratched other than that these goggles are pretty awesome. 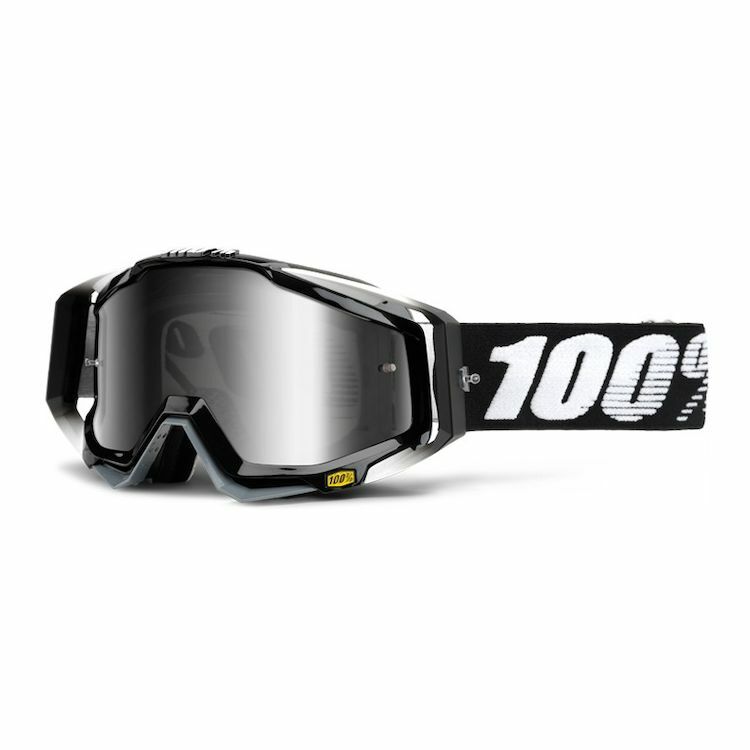 Anyone tried this goggle on the Scorpion EXO-AT950 helmet? Wondering how this goggle fits in the eyeport of that modular ADV-style helmet... thanks! Is anybody using these with an Arai XD4? Also anybody using these with glasses underneath? Is this google UV protective?